Who Does the ABOC Platinum Rewards Card Appeal to Most? Decision Time: Is the ABOC Platinum Rewards Credit Card Right for You? Finding your next rewards credit card is something that you should take seriously. When you take the time to look into your options, you will see that there are many lucrative options out there. Some rewards cards tend to focus more on bonus categories, and others will be a little more straightforward. Choosing a new rewards credit card is not something that you should take lightly if you want to get the option that will work best for you. That is why reading up on all of the details ahead of time is so crucial. If you can see everything that a credit card has to offer, then it becomes a lot easier to make a good decision. You will be able to see if it will work well for you to help you earn a decent amount of rewards. 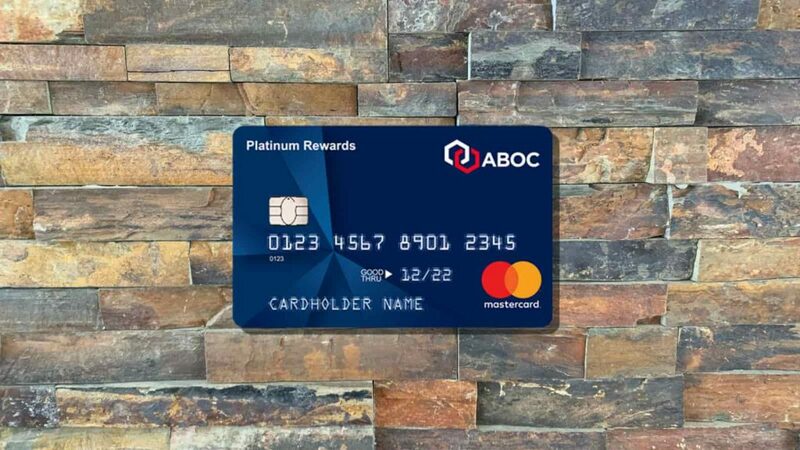 Today we are going to take an in-depth look at the ABOC Platinum Rewards Credit Card and everything that it has to offer. Is this credit card going to be a worthwhile addition to your wallet? Continue reading to find out, and we will help you to make a good decision. If you have been looking for a solid new rewards card, then this just might work out very well for you. It does offer a lot of rewards potential while managing to keep your costs and your fees as low as possible. $150 statement credit after spending $1200 in the first 90 days. A rewards card available to those who have fair credit is rare. Earning 5X per dollar is unheard of. Right away you will see that this credit card does not have an associated annual fee. If you want to be able to justify signing up for a credit card, then not having to put up with an annual fee makes the decision a lot easier. 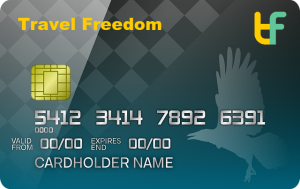 You will not need to use the card enough to earn rewards just to cover the annual fee. A potential negative is that this card does have foreign transaction fees that you will need to worry about. This foreign transaction fee is not overly high, and it sits at 3%, which puts it right in the average range for these types of credit cards. If you travel outside of the country somewhat regularly, then this is going to be a bit of an annoyance for you. Even 3% is going to be able to add up over time, and it could cost you some of your hard-earned money. People who do not travel outside of the country very often will not really have to worry about this so much. It really just comes down to whether or not these fees are going to impact you very often. The only other fee that you will need to keep in mind is the balance transfer fee of 3%. It has a minimum fee of $5.00 attached to it as well, but this should not be any higher than most traditional rewards credit cards. You will be able to take advantage of a nice introductory APR period. 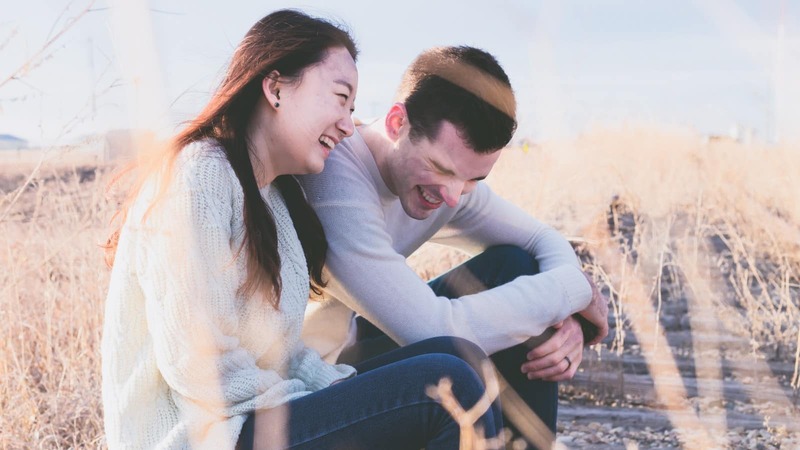 For a period of 12 months, you will be able to enjoy a special introductory APR, which will allow you to avoid interest on both purchases and balance transfers. This is very useful, and it may make it practical to transfer a balance to this card for some people. The standard interest rate is pretty average, too, and should not cause you any problems. 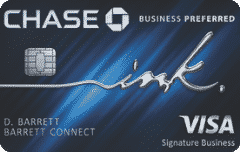 This credit card does have some good features and benefits for those who decide to sign up. We will dig into the overall benefits later on, but first, we will look into the useful features. You will see that this credit card has a pretty useful little sign-up bonus. Many credit cards of this type do not have any sign-up bonuses, but this one offers a pretty good one. If you spend a certain amount of money within the first three months of opening the account, then you will be able to earn statement credit. This will definitely come in handy and should help you to make the most of your purchases. Being able to earn a bonus after signing up is an appealing feature that makes the card more appealing. Earning this bonus is not too tough, either, as it does not require that you spend too much money on the card. It is a good obtainable reward that you will enjoy. Aside from this, the credit card offers a very robust rewards program. This is one of the better rewards programs that you will see for a credit card that is so easily obtainable. You will be able to get this card, even if your credit score is not as immaculate as you would like. Having access to such a solid rewards program is definitely going to be a huge benefit to you. One of the most important benefits that you should know about with this card is the fraud liability. Credit card theft is a major fear for many people. No one wants to be left on the hook for purchases made by someone else using your credit card. Thankfully, this card has zero fraud liability, and you will not need to worry if you are put in this situation. Thre ABOC Platinum Rewards card has some nice standard benefits that you can take advantage of, too. You will be able to receive travel accident insurance that can protect you while you're traveling. Being able to have insurance like this will prove useful in the event that a travel accident occurs. It is a fairly standard benefit, but it is still welcome, nonetheless. You can use your credit card to help out with your car rental insurance, too. This card is capable of acting as secondary car insurance for your rental vehicle. It is a convenient option that can make traveling with a rental car a bit simpler. This is an easy little perk to take advantage of, too, and all you have to do is use your card to pay for the rental car. There are not as many benefits of being a cardholder as there are for some other rewards cards. Even though there are cards that feature more benefits, the ones that are here are quite good. For a card that is this easy to obtain, it can definitely be considered to be very good. If you want more intriguing special benefits, then you may wish to look into cards that require higher credit scores. The rewards program is the thing that will really make you want to consider signing up for this card. If you use it to its full potential, then it can be quite lucrative. You will be able to rack up rewards when you take advantage of the bonus categories that this card offers. This is a card that features rotating bonus categories that will change out at specific times. The ABOC Platinum Rewards credit card allows you to earn 5 rewards points for every $1.00 that you spend in specific categories. There is a maximum of $1,500 in combined spending on these changing categories, though. Even so, this can allow you to earn some pretty nice rewards when you use the credit card to buy things in the bonus categories. The bonus categories are all sensible, too, so you will likely be able to reach that cap if you use your credit card somewhat often. These categories change every single quarter. If you do not like the bonus categories during one three month period, then you will never be too far off from that category changing. Also, you will still be able to earn rewards on all of your purchases outside of the bonus categories. You can earn 1 reward point for every $1.00 spent on purchases outside of the active bonus categories. You will not have to deal with a rewards point cap either. This means that you can continue to rack up rewards to your heart's content. Redeeming your rewards points will always be an easy process. You can go online to redeem your rewards points for gift cards, merchandise, travel, and even statement credit. You get to decide how to redeem your rewards, which puts the power in your hands. For a credit card of this level, the rewards potential is actually really good. Being able to earn the 5X rewards points on the bonus categories is quite nice, and it will help you to build up your rewards points very fast. Even purchases outside of the bonus categories help you to build points at a 1X rate. The bonus categories of this credit card are practical, too. One quarter will allow you to earn bonuses on purchasing groceries and eating at restaurants. The next will let you get bonuses on home improvement purchases and home supply needs. Being able to earn 5X points for things that you will likely be buying anyway is great. Having a sign-up bonus is a very good feature, too. Many cards that are easier to obtain do not have any type of sign-up bonus to entice potential cardholders. Being able to earn a nice little sign-up bonus simply sweetens the deal and makes it that much better to give this credit card a spot in your wallet. The sign-up bonus is not overly large, but it is still a nice benefit to you. A nice introductory APR makes it even easier to see the appeal of this credit card. You will be able to avoid interest for quite a spell, and it makes the first 12 months of using this credit card simpler. A good introductory APR opens up certain possibilities. It helps you to keep your debt low while racking up those bonuses. Having no annual fee to worry about is fantastic, too. Annual fees will sometimes scare people away. If you are trying to keep your costs low while still giving yourself access to a good credit card, then this fits the bill. You will love how easy this credit card is to use and should be able to use it to its full potential without having any problems. The foreign transaction fees are definitely one of the problems with this credit card. If you spend any time outside of the country, then you will likely want to avoid using your credit card. The fees are not absurdly high in comparison to many other cards, but foreign transaction fees of any kind can hinder your travel experience. If you like traveling abroad, then you may want to consider this before signing up. Some people are not going to like the rotating bonus categories that this card offers, either. Overall, the categories are quite practical, but some will not like that certain categories are only available for three months at a time. For example, many might wish that they could just continually earn the 5X bonus points for grocery purchases, as that is an easy category to take advantage of. It should also be said that the benefits of this credit card are good but not great. Many of the other rewards credit cards on the market will offer superior benefits. If you are looking for a credit card that offers you amazing perks, then this one is likely not for you. It offers good standard benefits but these benefits do not do much to make the card stand out. One of the best things about the ABOC Platinum Rewards card is that it does not take a very high score to qualify for it. You will be able to get this credit card with a score of 630 or higher, in all likelihood. People with fair credit do not often have access to credit cards with lucrative rewards potential like this. It makes it an easy decision to sign up if your credit is only fair and cannot quite be considered to be in that good range. The ABOC Platinum Rewards card appeals to anyone who only has a fair credit score. If your score is not quite in the good range, then your access to rewards credit cards is going to be limited. You will likely not qualify for many of the most popular rewards cards on the market. Being able to get a very good rewards credit card like this is going to be helpful to you. Aside from being great for those with fair credit scores, this is just an overall good rewards card. It may not be at the very top of the heap as far as rewards cards are concerned, but it is a good option. You can earn a lot of rewards points through regular shopping. It is easy to make use of the card, and redeeming rewards will always feel like a streamlined process. A card like this is going to appeal to people who like to earn rewards for average purchases, too. The bonus categories for this credit card are not unusual things. Many of the quarterly categories allow you to earn the 5X rewards points on purchases such as groceries. It makes it very practical to earn rewards and is better than many other cards with rotating categories in that regard. The best alternative to consider is going to be the Chase Freedom credit card. If you have a high enough credit score, then you will be able to earn 5X points with this card on rotating categories. It functions similarly to the ABOC Platinum Rewards card, but it has better perks and rewards potential. It is not going to be as easy to get this card, though, so you will want to have very good or excellent credit before applying. See our full review of the Chase Freedom. 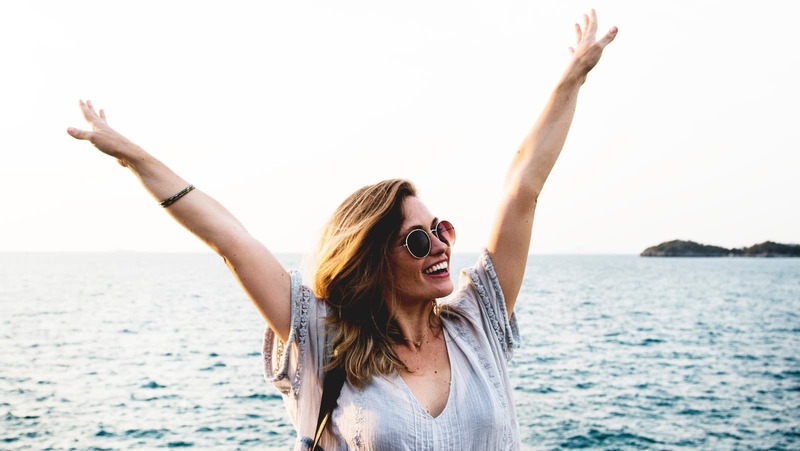 If you are looking for an option to consider that will work for those with fair credit scores, then the Discover It Secured credit card should work out fine. You will be able to earn cash back rewards on this card, and it is simple to obtain for people who are rebuilding their credit scores. Keep it in mind if you want an alternative to the ABOC Platinum Rewards Credit Card. Signing up for the ABOC Platinum Rewards Credit Card is a great idea for many people. If you want a credit card that will give you great rewards without forcing you to pay an annual fee, then this is going to be perfect. It is possible to get this credit card while only having a fair credit score, too. It makes it a good option for people who don't usually have good rewards cards to choose from. The ABOC Platinum Rewards card can be useful for those with higher scores, as well. The rewards potential of this card is truly pretty good, and it is easy to use. 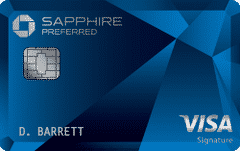 It is one of the best rewards cards that are easy to qualify for and should be considered by many people. If you need a solid rewards credit card to keep in your wallet, then you will be pleased with this one. It may not be quite as appealing for people who have access to some of the top-tier rewards cards. Even so, it proves its usefulness as a good card that offers reliable earning potential. You can earn rewards on this card constantly if you use the card regularly enough. It can earn a steady stream of rewards that you want if you choose to sign up for it. Mastercard Black Card Review: Is it a Top Notch Luxury Travel Card?